Make your event special for children of all ages! 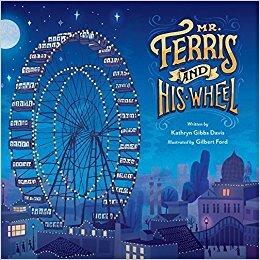 Nearly everyone has fond memories of riding a Ferris wheel at some time in their lives. 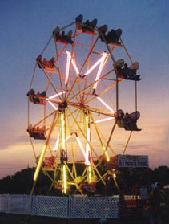 Now you can experience the fun of a Ferris wheel at your family, corporate, civic or other event. The Round Concepts Ferris wheel is a portable vintage Big Eli Wheel. When you rent the Big Eli Wheel we supply the Ferris wheel operator, and we can also supply the power to run it. 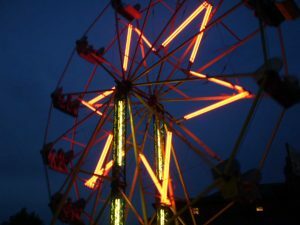 We can set up the Ferris wheel in a field, on a parking lot, or on any flat, solid surface large enough to accommodate it.